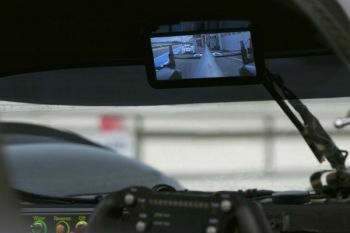 Back in May we reported that Audi installed an AMOLED digital rear view "mirror" in their R18 sports prototype car. The AMOLED display was chosen because of the high density, excellent image quality and very fast response time (good even at 330 km/h). 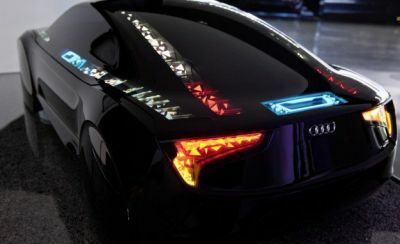 Now Audi announced that they will use this AMOLED "mirror" in the upcoming R8 e-tron car that will be available by the end of 2012. The e-tron will be a small-volume electric road car that has no rear window and thus cannot use a conventional mirror. Audi also reveals that the AMOLED display itself is 7.7" in size and is made by Samsung Display (which isn't really surprising).